Dr. Frank developed the initiative “One is Not Zero” at Children’s, engaging physicians and staff to work together to prevent errors that can harm children while they are in the hospital. The “One is Not Zero” program investigates behaviors, systems, and processes, finds areas for improvement, and facilitates open communication to help physicians and providers constructively learn from errors and identify problems before they lead to mistakes. The program is given credit with the entire Children’s system’s recent achievement of going more than a year without a serious safety event. Dr. Salinas and Dr. Fortenberry credit Dr. Frank with translating the healthcare system’s commitment to safety into practical tactics that have resulted in improved quality of care. Dr. Frank started a daily morning safety call across the system that helps quickly identify problems and risk points for the day. He also initiated weekly safety huddles to address specific issues and concerns to determine the nature of the problem and identify opportunities for improvement. “His emphasis on a culture of safety has been demonstrated by significant improvement in survey scores of our system employees, reflecting their understanding and embracing of the safety culture, a culture not focused on finding fault but on finding solutions,” his nominators write. Dr. Frank is recognized nationally for his expertise in quality and safety. He served on the clinical steering committee of the Solutions for Patient Safety (SPS) Hospital Engagement Network, a leading national pediatric patient safety collaborative. He co-leads the SPS Pressure Injury workgroup and serves on the SPS Measurement Committee which helps assure accuracy and integrity of SPS data. In more than 20 peer-reviewed manuscripts and chapters as well as numerous abstracts he authored or co-authored, Dr. Frank has focused on improving the quality and safety of care for hospitalized patients. He is also the co-editor of 3 books on pediatric hospital medicine. 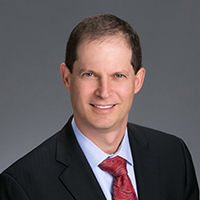 In 2016, he was named to the Editorial Review Board of Pediatric Quality and Safety and has been a reviewer for the journals Pediatrics, Hospital Pediatrics and Hospital Medicine. His nominators praise his “mechanistic understanding of systems of care,” which they say may come from his training as an engineer. He earned a bachelor’s degree in engineering from Dartmouth College, then a master’s degree in Engineering Management from Stanford University before attending the University of Pennsylvania School of Medicine. He is certified in General Pediatrics by the ABP and meets the requirements of Maintenance of Certification (MOC). The Paul V. Miles Fellowship honors Dr. Miles’ years of service as Senior Vice President for Maintenance of Certification and Quality at the ABP. PVM Fellows bring their experiences and insights to help focus and improve the ABP’s efforts to support pediatricians as they improve care for children.